Another tapas dish of calamares fritos (£4.75) was nicely seasoned. The squid was tender and the batter was crispy. 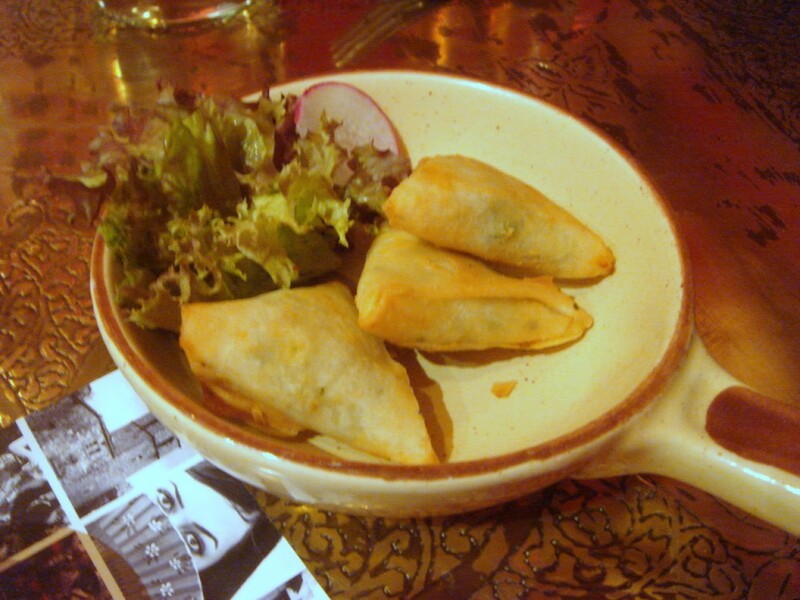 Pastilla of chicken (£4.95), a dish of savoury chicken baked in puff pastry with cinnamon and almonds was a good rendition of the Moroccan classic which is typically served with pigeon. The pastry was light and flaky, the chicken was tasty and overall the dish was pleasant and not too sweet. Albondigas (£5.25), beef meatballs in a rich tomato and cumin sauce with garden peas, was meaty and rustic. Courgette fritos (£4.45), shredded courgette and goats cheese fritters served with rosemary yoghurt, were morish. The combination of the courgettes and the cheese worked well together, as did the added zinginess of the yoghurt. Spinach and feta cheese pasties (£4.75) were tasty. The tapas proved a promising start to the meal. Onto the mains, and we went for the Valenciana paella (£14.95) with prawns, mussels, squid and chicken. 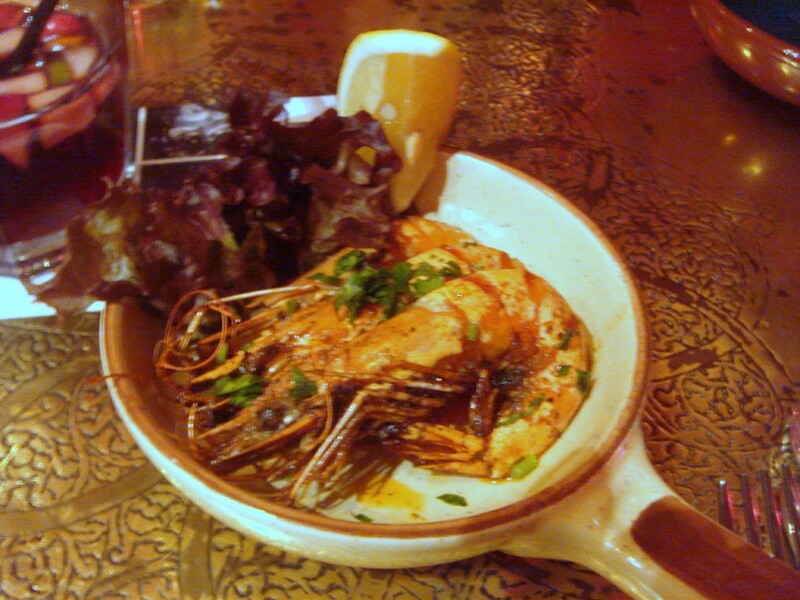 This dish may be named after a Spanish classic, but it was truly terrible. The seafood wasn’t bad, but the rice was soggy and mushy. Furthermore, it did not have any of the flavour that you would have expected had it been cooked with a good stock. I couldn’t detect any saffron either. The portion size was generous but this was the only positive I could draw from the dish. I didn’t enjoy the mixed grill either (£14.45). The chicken was very dry and the lamb was too peppery. The rice also tasted odd as if there was some soap suds in it. 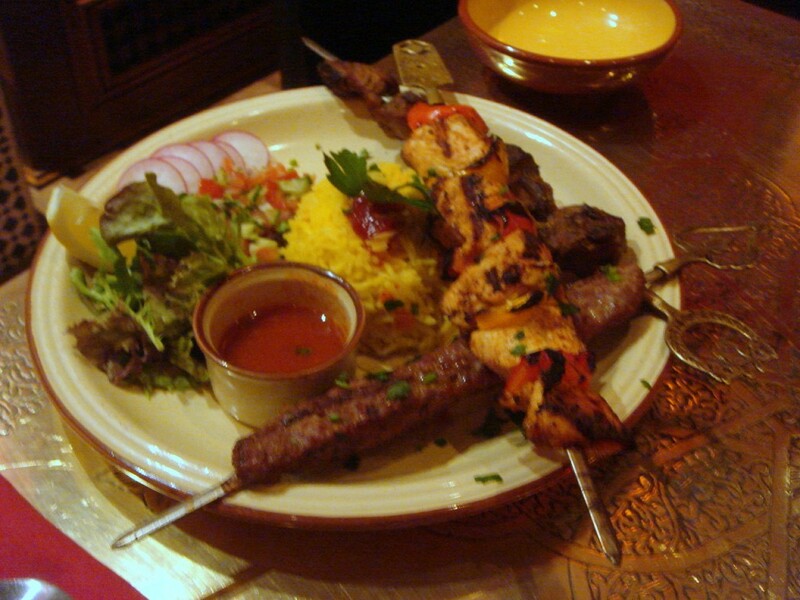 There’s no doubt Edgware Road is the better bet if you are in search of a mixed grill. 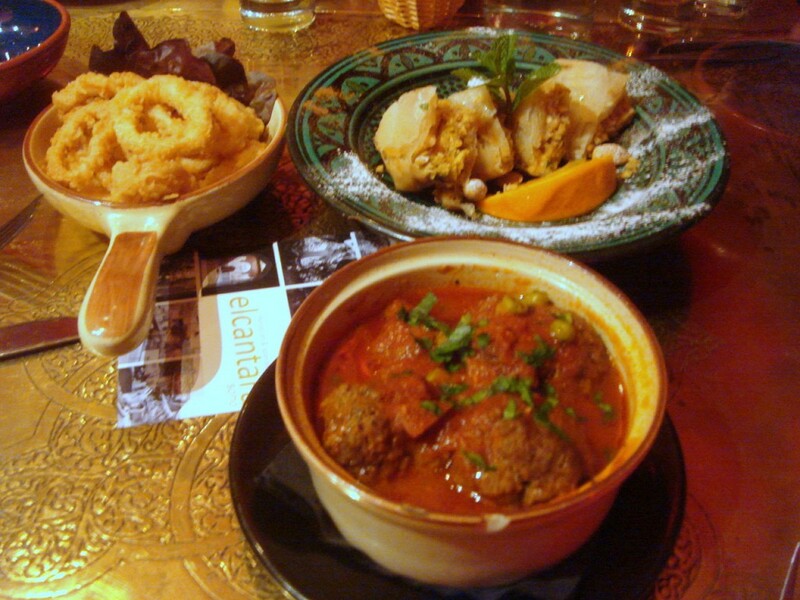 The only saving grace among the mains was the lamb tagine (£13.45) which was lovely. 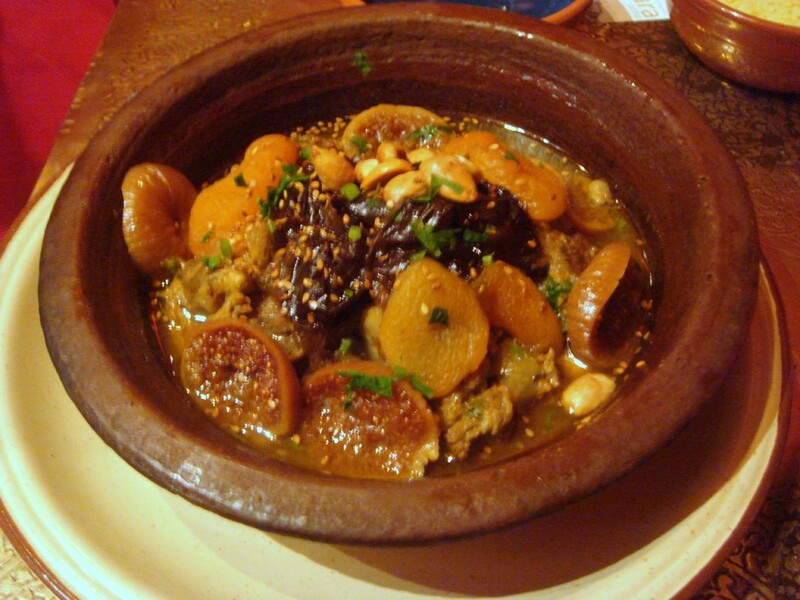 The lamb was incredibly tender and succulent, and the combination of honey, cinnamon, prunes, rosewater and almonds produced a well balanced and flavoursome dish. 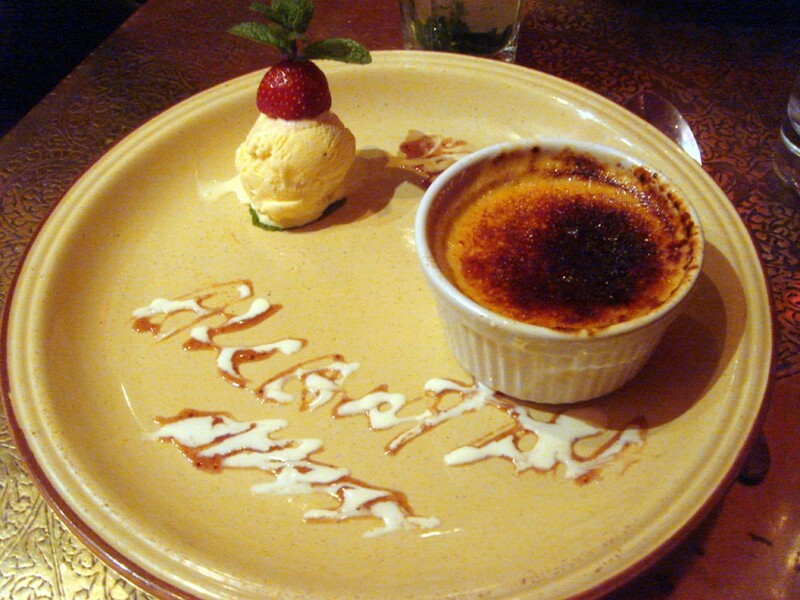 From the desserts (all priced at £4.95), I enjoyed the Crema Catalana, a traditional Spanish-style vanilla custard topped with caramelised custard which tasted like a good crème brulee. But the presentation was rather silly. 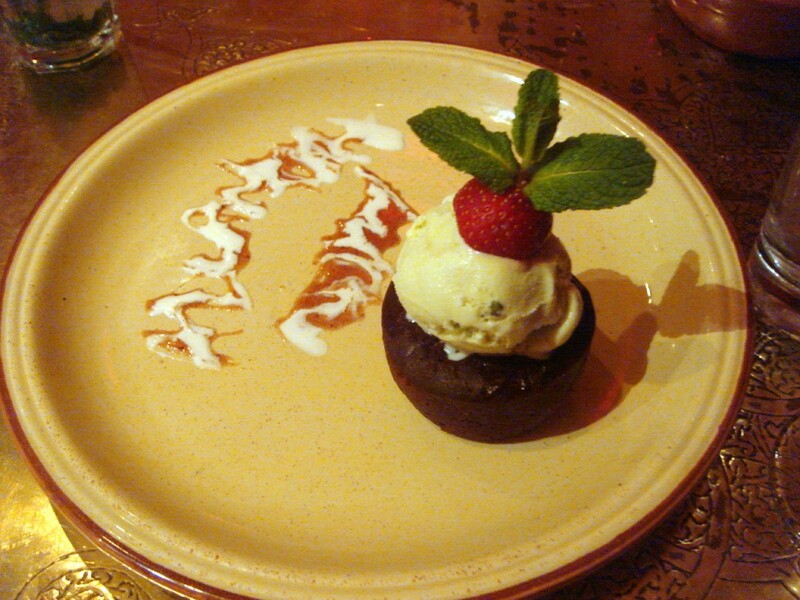 A date and chocolate pudding, a dessert of crushed dates with melted chocolate served with pistachio ice cream, was very dense but without any of the chocolate-y richness. It was therefore not particularly appetising. This was also another silly looking plate. 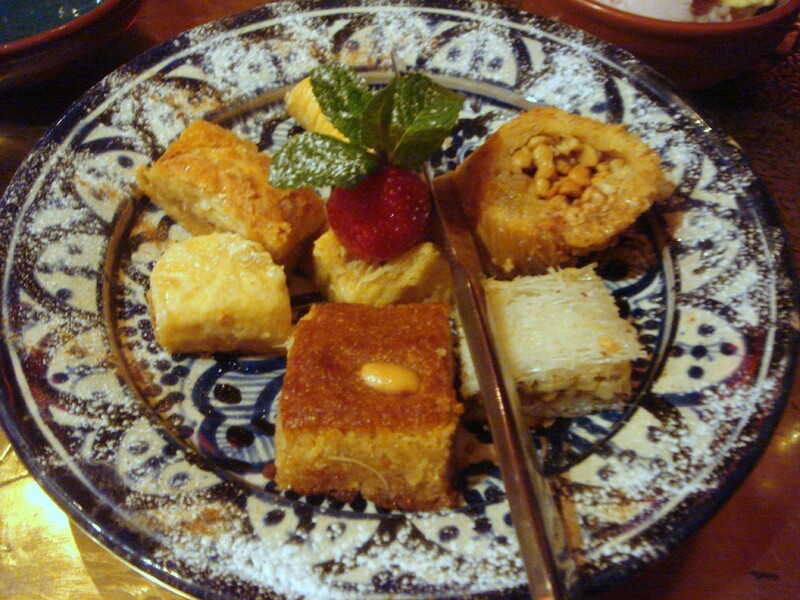 The two pieces I tried from the selection of baklavas were not crispy and tasted stale. Ice creams were passable. The starters were very good but I wasn’t much impressed with the rest. I get the sense the restaurant stretches itself too far by trying to serve both Spanish and Moroccan food and in doing so, does neither particularly well. I can’t recommend El Cantara for a meal even if it is nicely decorated and the service is decent. However the terrace area looked great, so the best bet may be to nibble on some tapas whilst enjoying a shisha or two. 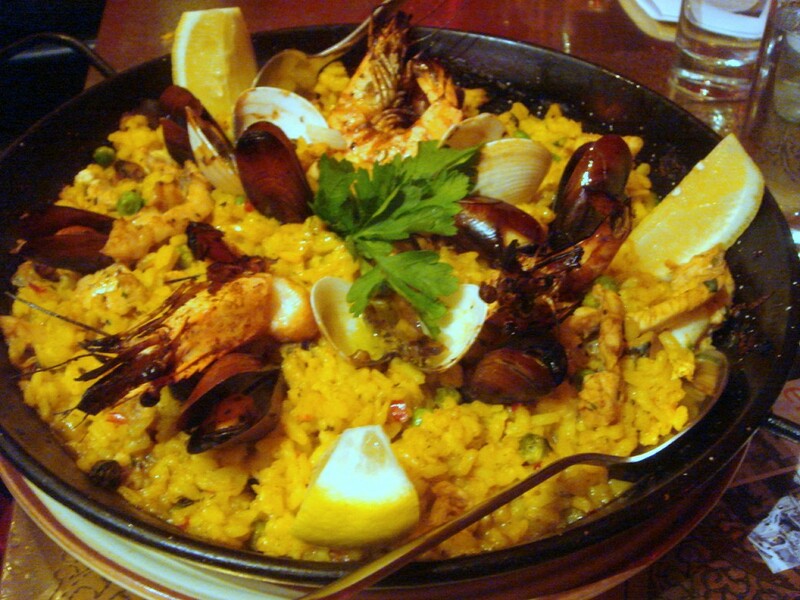 Oh dear those mains do not sound good – particularly the soggy paella! Hmmm those meatballs looks soo good! Spanish and Moroccan sound like an interesting concept. Sounds like they could do better in Moroccan cuisine though, since the Tajine was not a miss whilst the paella had flaws. Hmm… if they arsed it up with the paella for a bloggers’ dinner, I don’t hold much hope for it with normal punters…!